I download PHPStorm 6, install it by default on my Win7. But I can run it only as Administrator. I click right mouse button on PHPStorm logo, choose run as admin. 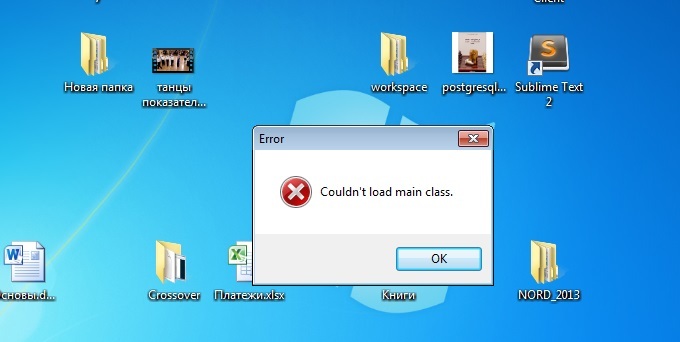 If I try run PHPStorm not as Admin a have error "couldn't load main class". I have admin right on my desktop. I have not this problem some times before. My be this some Microsoft upgrades do or ... I dont now. Can you please attach a screenshot? Thanks! Two click on left mouse button and I see this error. I think this is not PHPStorm problem this is windows permission problem may be with user folder, but I have admin right and have this error. Can you check which OS process this window belongs to? Just open Windows Task Manager, find the window and use "Switch to process"